On March 30, 2016, as part of the program “Spiritual Bonds,” a reliquary of the great saint of the 20th century, St John of Shanghai and San Francisco, was brought to Christ the Savior Cathedral in Kaliningrad, Russia. His Grace Bishop Serafim of Baltia, Vicar of the Diocese of Kaliningrad of the Russian Orthodox Church, performed a moleben and akathist before the reliquary along with the cathedral’s clergymen. The reliquary was at the cathedral from March 30-April 3. St John was canonized as a saint on July 2, 1994. In the 24 years since, his relics have brought miraculous healing to hundreds of people who have turned to him in prayer. Even during his lifetime, St John was granted special spiritual powers by the Lord: he foretold the future, provided miraculous healing and saw the inner life of those who came to him. After his death, his relics continue to perform miracles attested to by many people today. An international youth effort called “Spiritual Bonds” was formed with the blessing of His Holiness Patriarch Kirill of Moscow and All Russia. 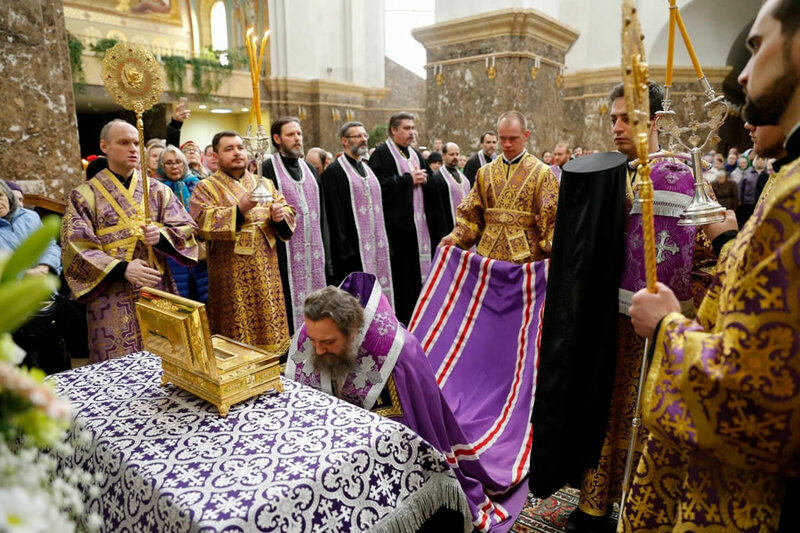 Over 50 dioceses have welcomed the relics of St John from the Russian Orthodox Church Outside of Russia. 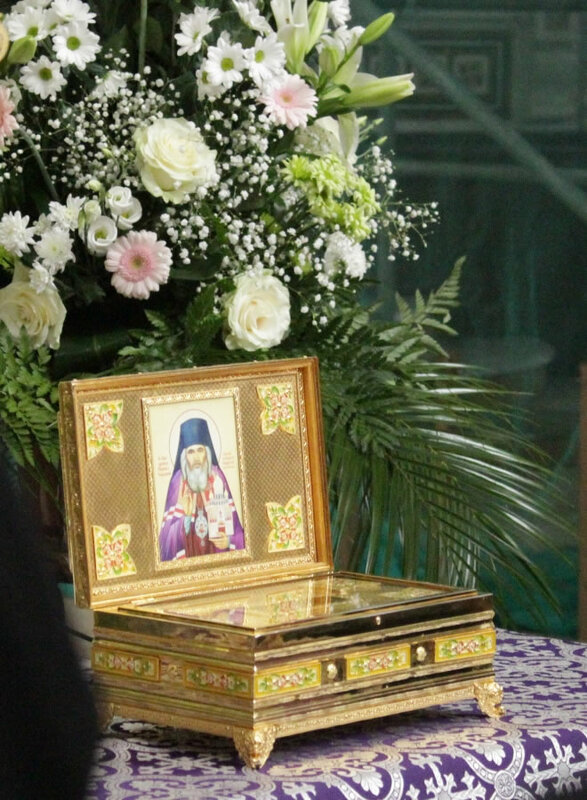 The relics are brought as part of a youth effort led by the Synodal Youth Department of the Russian Orthodox Church. The visits of the relics are tied to various events: the presentation of educational publications, lectures and seminars on Christian volunteer work, round tables on youth ministry and meetings with Orthodox youth activists and students. Press Service of the Kaliningrad Diocese. This entry was posted in Featured News, News and tagged His Holiness Patriarch Kirill, MOSCOW, Russian Orthodox Church, Spiritual Bonds, St John by Orthodoxy Cognate PAGE. Bookmark the permalink.